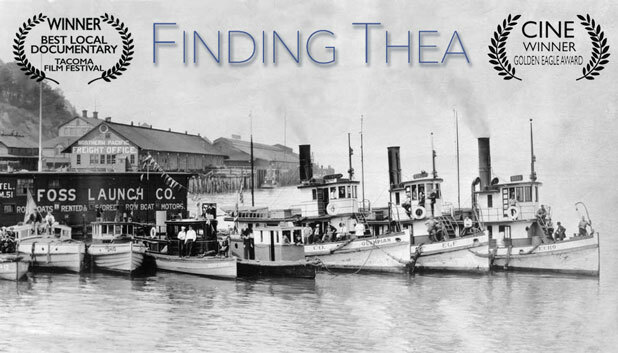 "Finding Thea combines historical photographs, quotes from journals, and interviews with historians to tell a fascinating story that will appeal to general audiences, as well as anyone studying the histories of immigration, women, and the maritime industry. Highly recommended." "Finding Thea is a wonderful tribute to a woman whose spirit still inhabits the city she helped build." We worked with filmmaker Nancy Bourne Haley to create FINDING THEA, a LUNA Productions film. In 1889, the year Washington achieved statehood, Norwegian immigrant Thea Christiansen Foss arrived in Tacoma on the newly opened Northern Pacific Railroad. With transportation limited to train, horse–drawn buggies and boats, Thea quickly recognized a business opportunity in the growing demand for water travel. Beginning with an initial $5 purchase of a rowboat, the marine transport business she and her husband Andrew founded on the Tacoma waterfront has grown over more than a century into the largest, most modern fleet of tugs on the West Coast. Through her life and work, Thea Foss became a pioneer archetype for women in the first half of the twentieth century. In 1931, Thea became the inspiration for a fictional character in Norman Reilly Raine’s famed “Tugboat Annie” stories published in the Saturday Evening Post. These popular tales led to three Hollywood motion pictures and a 1950’s television series. FINDING THEA separates the woman from the myth. It combines rare archival footage, photos, and clips from the 1933 Tugboat Annie film starring Marie Dressler and Wallace Beery with contemporary reflections of her legacy along Washington State’s waterfronts.